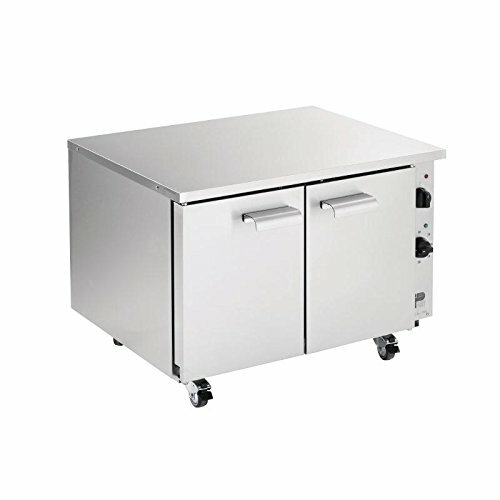 The Parry P9EO fan assisted electric oven is a versatile addition to the commercial kitchen. The stainless steel exterior features a flat counter top, able to accommodate other Parry 600 series products, such as hobs, griddles and bain maries, as well as being able to be used as a worktop. The oven itself is powerful and features two separate 2.5kw fan assisted elements to make a total of 5kw of cooking power. The stainless steel construction and castors ensure the electric cooker is durable and easy to clean, whilst the simple dial controls and side hinged doors make the Parry oven incredibly user friendly.